AABSyS Information Technology Private Limited, a premier GIS, CAD and software services company in India, recently met with new Chief Secretary of Odisha, Mr. Gokul Pati. It was attended by AABSyS’s CEO and director Mr Arun Patnaik. 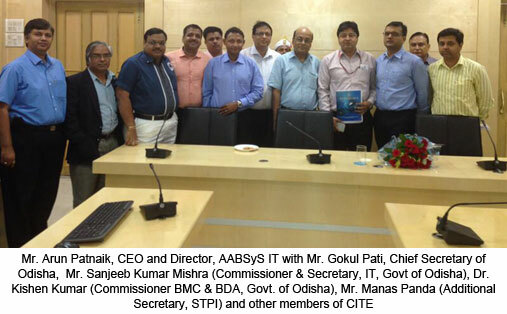 Recently, AABSyS along with the other members of Confederation of Information Technology Enterprises (CITE) was invited to meet the new Chief Secretary of Odisha, Mr. Gokul Pati. The meeting was also attended by Mr. Sanjeeb Kumar Mishra (Commissioner & Secretary, IT, Govt of Odisha), Dr. Kishen Kumar (Commissioner BMC & BDA, Govt. of Odisha),and Mr. Manas Panda (Additional Secretary, STPI). The information technology industry members were formally introduced to Mr. Gokul Pati in the meeting. The new Chief Secretary of Odisha, Mr. Gokul Pati assured the members about taking steps that will assist in promoting brand Odisha to the members of the industry worldwide. He discussed about taking key initiatives for development of industrial infrastructure in the state of Odisha. Mr. Pati also talked about creating a special unit for dissemination of latest technology. The members of CITE discussed their expectations from the government with Mr. Gokul Pati. The meeting not only allowed the important industry- government interaction to take place but also created a platform for the information industry to recommend its suggestions and ideas to the government on various topics that would prove beneficial for both the sectors. The meeting ended with an action plan and directive from the Chief Secretary to identify 15 new areas of investment in IT and to implement the ICT Policy of the State. 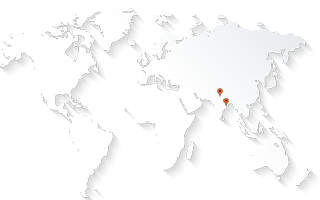 AABSyS is a notable member of CITE since many years now. It was represented by its CEO and Director, Mr. Arun Patnaik, in the meeting. The meeting took place in the chamber of the honourable Chief Secretary and was declared a huge success.